A recent iPhone commercial, touting the power of having the internet in your pocket. It has just been published to The Daily iLife podcast, which you can subscribe to in iTunes or watch here. An iPhone advertisement about winning a bet by having the internet in your pocket. The 3G, Second Generation iPhone on your Mac! When Apple posted the new 10.5.3 update earlier this week, investigators on the MacRumors forum have located a curious iPhone icon added with the update. 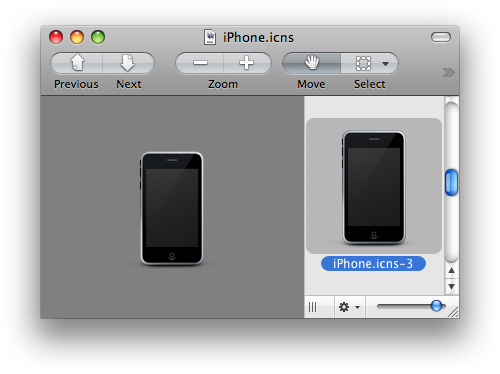 Locate the iPhone.icns file and double click it to open it. There should be 5 different iPhone icons, of varying sizes. You are looking for the file named ‘iPhone.icns-3’. While this iPhone icon is clearly different from the current iPhone (and other iPhone icons in the folder); if you look at the model revealed on iPhoneclub.nl recently, the model and the icon bear a striking resemblance. Both iPhones exhibit the rumored bezel and body changes, which make the iPhone more curved in your hand, but appear to be square. The earpiece seems to be readjusted, which is part of the rumored sensor rearrangement and addition of forward facing camera. 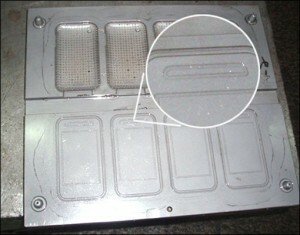 The two iPhones are shown side by side below. You can read the orginal iPhoneclub.nl post here. 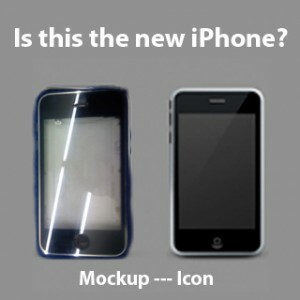 While this icon may seem promising, it could just be a remnant or reject from the original iPhone icon. Apple is rumored to introduce a new iPhone model next month at its annual WWDC (Worldwide Developers Conference); which starts on June 9th. Stick with theiLife for continuing coverage regarding the new iPhone, liveblogging from the Keynote and any other WWDC related announcements. The closing of the Fifth Avenue Apple Store on Thursday may mark the beginning of a new advertising campaign for an as of yet unknown product. Equipment being brought into the store as well as other reports indicates that film production company Anonymous Content will be producing the advertisement. AppleInsider reports that director David Fincher, listed as a featured director on Anonymous’s website is tied to the project. Fincher is best known as the director of Fight Club, but is also a popular producer of commercials, including the Gears of War trailer, “Mad World”, and has done work for HP and AT&T. 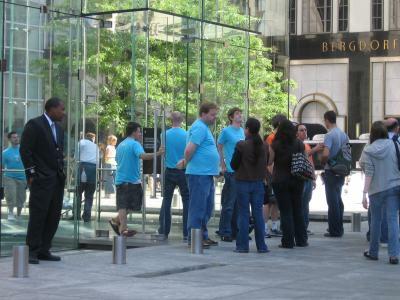 The only other times that the Fifth Avenue Apple Store has been closed were for major product launches, and the only advertisements filmed at Apple store were filmed at this location, for, fittingly enough, the iPhone. The majority of Apple’s marketing campaigns, including the well received Get a Mac campaign, have been produced by TBWA\Media Arts Labs. However, Apple has in the past used other firms, or allowed third parties to advertise joint product launches using their own ad firms. Anonymous Content fits the bill for this kind of campaign, having produced commercials for a wide variety of corporations, the most relevant being AT&T and Intel. It is rumored that Apple is filming a commercial for the upcoming 3G iPhone. The reasoning behind filming at the Fifth Avenue retail store is still unknown, as an Apple Store could easily be replicated in a studio. The lighting equipment outside indicates that emphasis may be on the 32 foot cube outside the store. More details to come soon! The store is normally open 24 hours a day, 365 days a year, and has only closed on two occasions, for about three hours- the release of Mac OS X Leopard and the iPhone last June. TheiLife regular, Sidney San Martin is en-route to check out the scene, and should be reporting live within the hour- pictures, live blogging and a little investigative reporting to come. If you live in or near New York City, and would like to help contribute to the coverage, please feel free to contact us! 6:31 PM Sidney is off from work and en-route (via Subway) to the 5th Ave store. 7:30 PM Sidney is on the scene confirming that it is indeed commercial- there are booms and a Genie outside the store. He says that lighting is being setup to highlight the Cube and elevator. 7:37 PM Sidney has confirmed that there is filming going on in the store. Director chairs and people mingling around the tables. All computers have the Leopard aurora desktop background showing with no menubar or icons. 7:39 PM He can see into the Apple Store, and there are iPhone tables with cardboard around them. Most of the people are congregating around the iPhone tables. The cardboard is very eerie, very Apple, he notes. 7:52 PM The crew outside is discussing ways to get into the store, appears to be looking at a floorplan. 7:58 PM More lights are being setup around the outside of the Cube. 8:11 PM The crews are hooking into the Fire Hydrant now. What the heck!? 8:33 PM BLACK CASES MARKED “Anonymous 5+4” entering store. 8:33 PM More black cases marked “Anonymous 4+3” entering store. 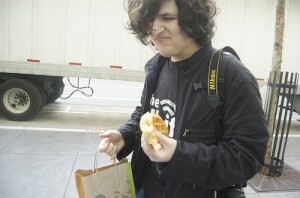 9:33 PM Sidney has to leave as his iPhone has died; the liveblog is over. 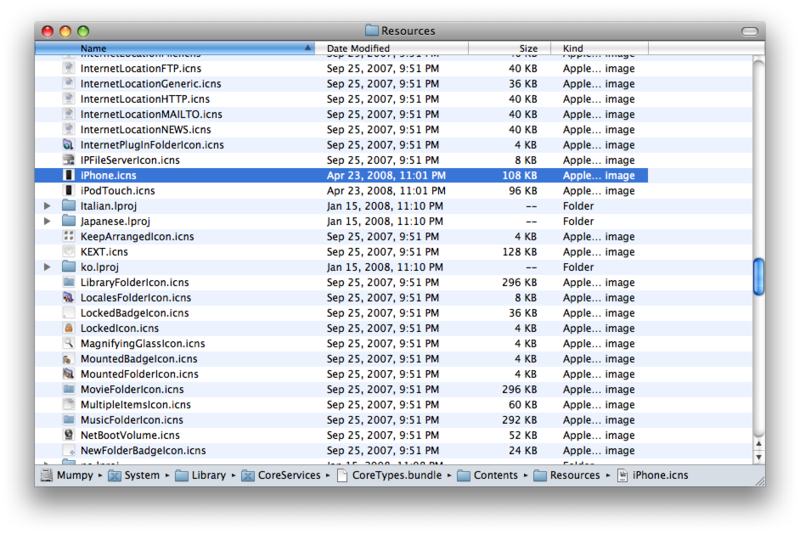 The servers are being pounded from traffic from all over; including AppleInsider and MacRumors. Thanks to all who have visited!! 9:47 PM Almost the entire sidewalk is blocked off on 5th Ave, with the Apple employees pushing the line back as much as possible. Sidney has left for home. This is the third part in a series of WWDC rumor articles, exploring the various case leaks for the new iPhone model- speculated to launch at WWDC 2008. 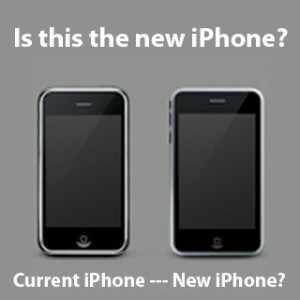 Click here to check out the first and second articles about the rumored iPhone. 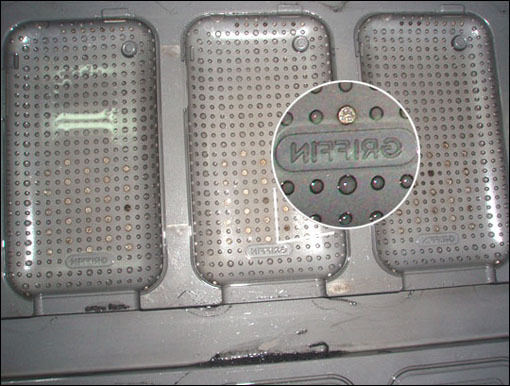 Yesterday, the Apple rumor mill was abuzz with a story from iDealsChina Insider, an otherwise unknown website who posted leaked pictures of Griffins new case mold for the upcoming iPhone. The pictures, shown above, shows a larger opening for the supposed addition of a front facing camera, which supports the rumored claims of videoconferencing on the upcoming iPhone. 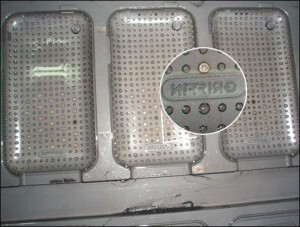 The leaked photos are said to be of Griffins upcoming silicon Flex GRIP case. This is a guest post from theDigitalLifestyle.tv. Whether you know the name from the adorably small yet “Mighty Mouse” who took over kid’s television screens every weekend morning in the forties or you recognize the name from the powerful mouse that graces so many Apple user’s desks, the name “Mighty Mouse” has been fighting a battle all it’s own this past week. 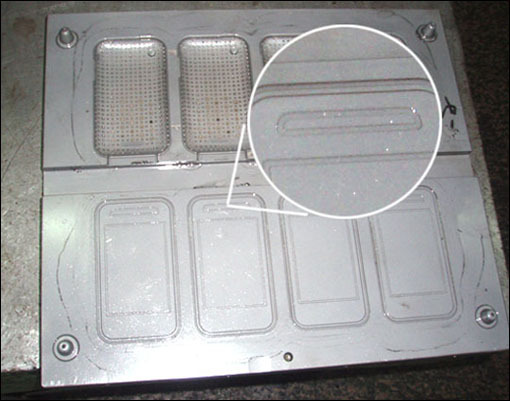 Man & Machine Inc., which is a Maryland based company who manufactures water-resistant and hygienic keyboards and mice for medical and industrial environments, sued both Apple and CBS CORP. for trademark infringement. M&M claims that while both their company and CBS hold trademark applications for the name, CBS’s use of the name does not cover such goods as computer products and therefore, if they licensed the name to Apple, it would be in violation of the trademark. It seems to me that even if Man & Machine Inc. used the name for computer products before Apple (which they claim is true), the use of the name is for completely different niches in the computing world. M&M’s water-resistant, hygienic, and may I also say “wired” mouse design of “Mighty Mouse” is advertised and promoted specifically for medical and industrial use, differing with Apple’s design for a sleek and powerful mouse used mostly for home and office use. Most consumers who would be in the market for Apple’s Mighty Mouse would not, upon seeing M&M’s “Mighty Mouse,” change their mind about their purchase considering the different applications and niches for the product. Man & Machine, Inc. is seeking money damages and a Court issued order, which will block Apple’s use of the name. A hearing date has not yet been set. 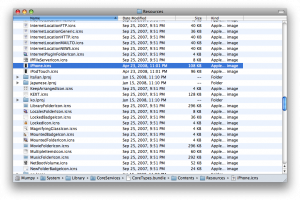 iPhone/iPod Touch Mobile Safari to Go Multi-Platform? 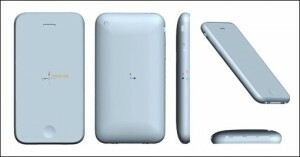 Samsung has just announced their new L870 mobile handset, and several sites are reporting that it will be the first Samsung phone to include a Safari branded mobile browser. Out of left field, this information contradicts previous assumptions that mobile Safari would be an iPhone exclusive application. 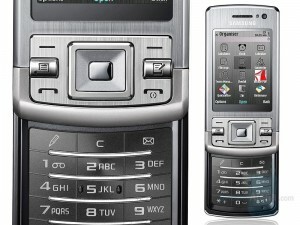 The L860 runs S60, a Samsung developed Symbian platform. The S60’s default browser already utilized a WebKit based browser, so it is unclear what advancements Safari will bring to the handset’s capabilities. It is worth noting that the S60 browser supports flash mobile. Safari for Symbian will put Apple in direct competition with development teams including Microsoft’s Window’s mobile team, Nokia’s internet tablet division (which utilizes WebKit) and Opera Software’s Opera Mobile. Many mobile phone companies have utilized WebKit in their offerings due to its relative ease to implement compared with propriety rendering engines such as Microsoft’s Trident, and its easier implementation and less demanding license compared to Mozilla’s Gecko. However, Apple’s mobile Safari browser was universally lauded for its ability to render web pages accurately and quickly using limited resources and screen real-estate. So far, it remains unknown as to whether Samsung has negotiated a contract with Apple for exclusive use of the Safari trademark, or whether Safari is headed to other mobile platforms. Update: Samsung now reports that the Safari reference was a misprint, referring to the S60 browser’s WebKit components. This is the second part in a series of WWDC rumor articles to come, exploring the possibilities of the new second generation iPhone speculated to launch at WWDC 2008. Click here to look at the first article reviewing the possibilities for the new iPhone. The next iPhone to have GPS built in? Over the past week, the new iPhone has seen a fair share of new rumors, findings and speculation. Argentina, Australia, Austria, Belgium, Brazil, Canada, Chile, Colombia, the Czech Republic, Denmark, Dominican Republic, Ecuador, El Salvador, Egypt, Estonia, Finland, Greece, Guatemala, Honduras, India, Italy, India, Jamaica, Jordan, Latvia, Lithuania, Mexico, New Zealand, Nicaragua, Norway, Paraguay, Peru, Philippines, Puerto Rico, Portugal, Slovakia, Singapore, South Africa, Switzerland, Sweden, Romania, Turkey, United States and Uruguay. ImportGenius last week believes the 3G iPhone may be enroute to the United States, if not already here. ImportGenius noted that the declaration of “electronic computers” is in addition to the regular shipments Apple receives of desktop computers (which haven’t decreased over these past few months), which means this is not just a renaming of a current Cupertino product for customs. The GPS has been rumored to be put into the iPhone for some time now. 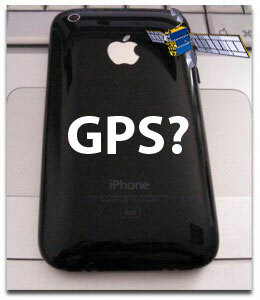 Recently, findings by AppleInsider might hint at the existence of GPS in the upcoming iPhone model. The images, shown above, are of beta iPhone 2.0 firmware, build 5A292g, that was distributed to a select group of enterprise testers last week. The new shots show new preferences for location based services for the Camera and Google Maps applications, and user prompts for the permission to find their current geographical location. “”Maps” would like to use your current location” “Don’t Allow” or “Ok”. The addition to the Camera application implies the addition of geo-tagging, which adds meta data to the photograph that includes the coordinates that the picture was taken. AppleInsider notes that the tipsters say that there seems to be no addition of geographical meta data to photos taken from the Camera application at this time. The addition to the Maps application is even more interesting, however. In the current iPhone and iPod Touch firmware, Apple has added a “Locate Me” button which allows the user to be located by cell triangulation or through Wi-Fi hotspots. This could simply mean that Apple is re-integrating your location into the Maps application or that the addition of GPS hardware could enhance the application even more. Finally, last Wednesday AT&T announced that it is wrapping up the deployment it’s 3G infrastructure. By rolling out HSUPA (High Speed Uplink Packet Access) and HSDPA (High Speed Downlink Packet Access); AT&T customers will be able to achieve 1.4Mbps download speed and uploads speeds up to 800Kbps. AT&T also notes that 75 percent of the phones sold by the company are 3G compatible; with “more 3G-enabled smartphones in the summer and fall of 2008”. The cell phone carrier has spent over $20 billion in network upgrades over the past few years. It should be noted that the iPhone 2.0 firmware is intended to be released across both the current generation iPhone and the upcoming generation iPhone. Apple revealed in March the release date of June for the firmware, which could coincide with the WWDC 2008 conference starting on June 9th. The most hotly anticipated features of the iPhone 2.0 firmware are the App Store, which will allow for 3rd party applications; and the new enterprise features such as Exchange support and VPN. Stay tuned for more rumors and predictions to come. Sidney San Martin online at Macworld 2008 for theiLife. This year, over 5000 developers are attending WWDC and Apple has announced that for the first time ever that they have sold out of tickets. As usual, Steve Jobs will be kicking off the conference with a Keynote, taking place on Monday June 9th. We at theiLife.com are proud to announce that Sidney San Martin, theiLife regular, will be in attendance. This means coverage similar to Macworld 2008- which included videos, pictures, liveblogging (from the Keynote and Expo) as well as regular blog coverage. Regarding the liveblogging there will be more details coming soon- we are not sure if it will be AJAX based, due to the heavy load it puts on our servers. Stay tuned for more details coming soon, and certinally if you would like to offer any suggestions, please contact us or leave a comment below!